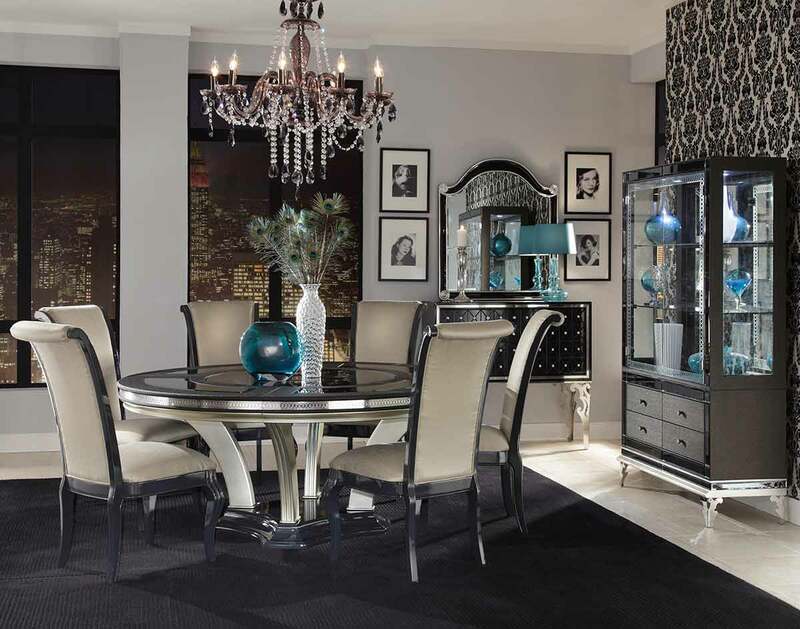 Step out onto the red carpet in front of the flashbulbs of paparazzi cameras, and picture yourself in the glamour and drama that is the inspiration for the Hollywood Swank collection. 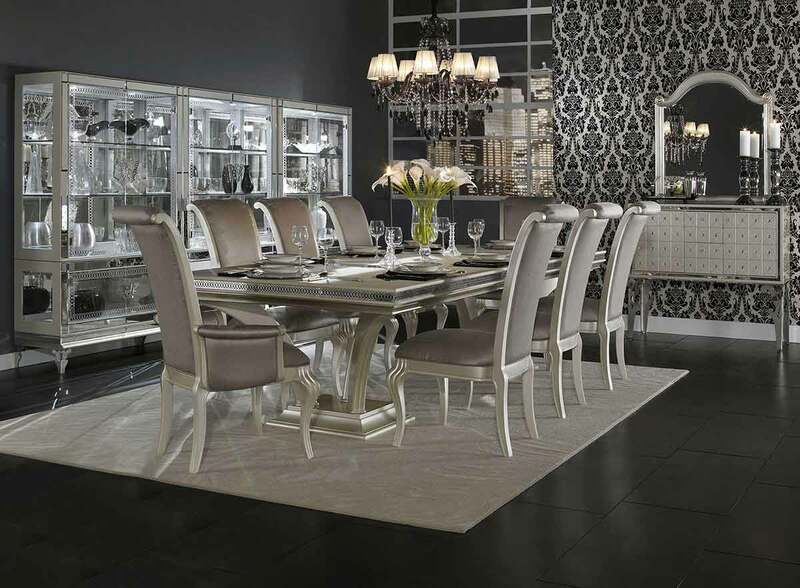 Hollywood Swank from Catrina's Interiors brings the influence of movie premieres to life with mirrors, tufted leather accents, and mirrored panels available in two finishes including Platinum, and Polished Stainless, which allows you to choose the right color for every piece for your home. The quality and attention to detail is masterfully evidenced throughout the bedroom, which features a wing shaped headboard that is adorned with a crystal button tufted upholstery, unique drawer fronts, and a swivel lingerie chest that cannot be found elsewhere. The four finishes of the collection are enhanced by the alligator vinyl wraps, which create an intriguing visual display. Each piece is carefully created and inspected to ensure the high standards of quality for which Catrina's Interiors is known.